My dad was the sixth of seven children, he was the youngest of five sons. His parents are Santiago and Angela Cherbony from Puerto Rico. 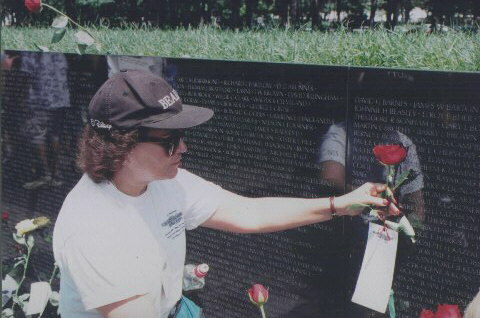 This picture was taken at the Wall on Father's Day 2000. My dad's youngest sibling and youngest sister, Olga is posing at my dad's panel, 55 East. This was her first trip to the Wall.